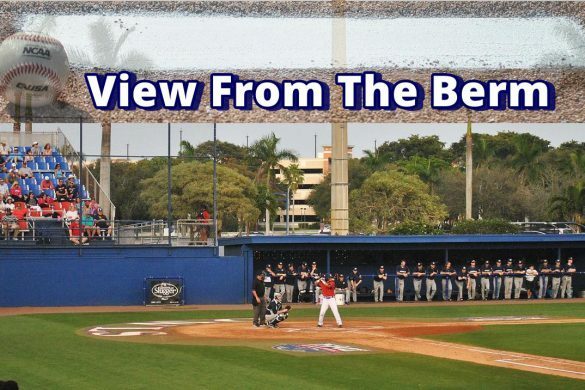 BOCA RATON – FAU couldn’t overcome another poor offensive effort, falling to Southern Miss 77-66. 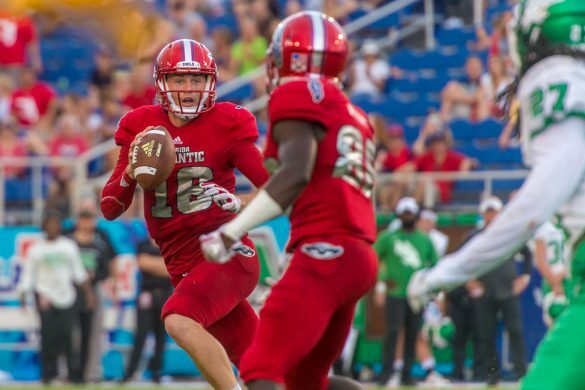 FAU managed only 21 points in the first half, despite facing, in the Golden Eagles, statistically the worst defense in Conference USA play. 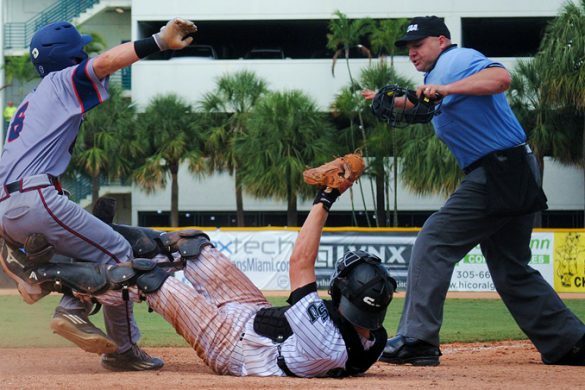 “We didn’t convert enough or pound them enough on the inside,” FAU coach Michael Curry said. 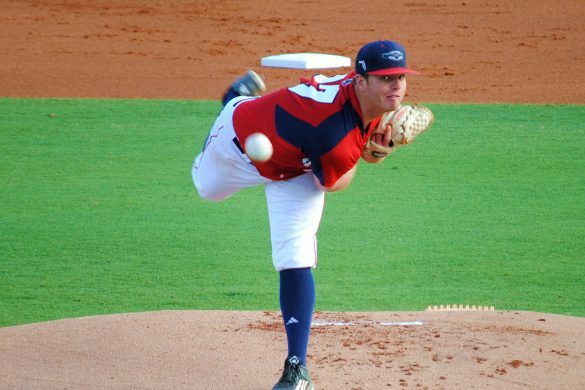 Jumpshots from Payton Hulsey and Gerdarius Troutman propelled FAU to a 10-2 scoring run late in the second half to cut Southern Miss’ lead to nine, but the Owls didn’t get any closer until the game was out of reach. Ronald Delph hit a jumper with eight minutes remaining in the first half to bring FAU within five points of the lead but Southern Miss responded with a 13-2 run to close the period. FAU was a step slow closing out on three-point shooters, allowing Southern Miss to shoot 8-12 from beyond the three-point line. 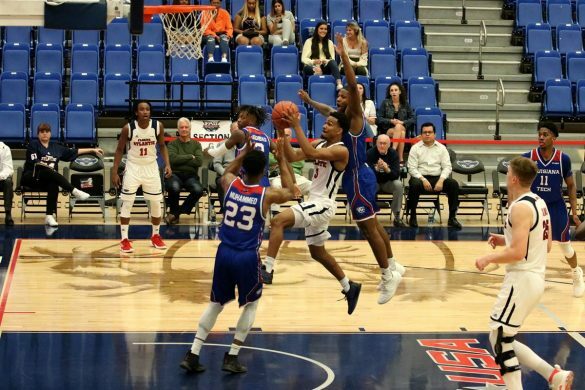 Troutman broke what was a five minute FAU scoring drought by hitting a three-pointer with one minute remaining. Payton Hulsey led the Owls with 16 points and six rebounds. Moving Backward: FAU scored only eight points in the paint. … FAU shot 28.6 percent from the field in the first half. … Justin Massey shot 1-8 from the three-point line and 2-12 overall. 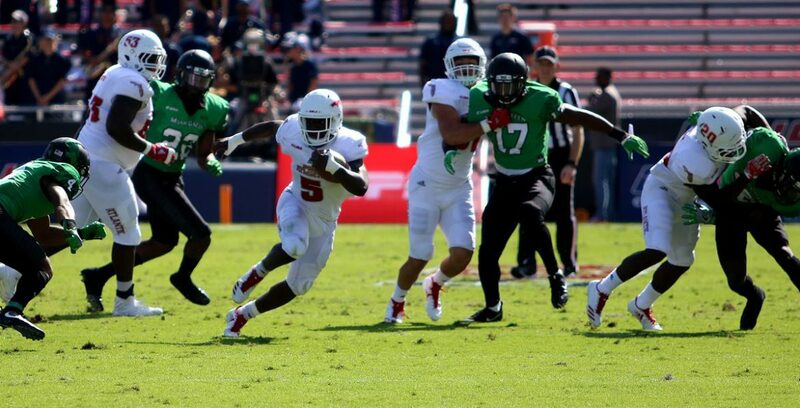 Key Stat: 2 – Assists for FAU in the first half compared to eight turnovers. 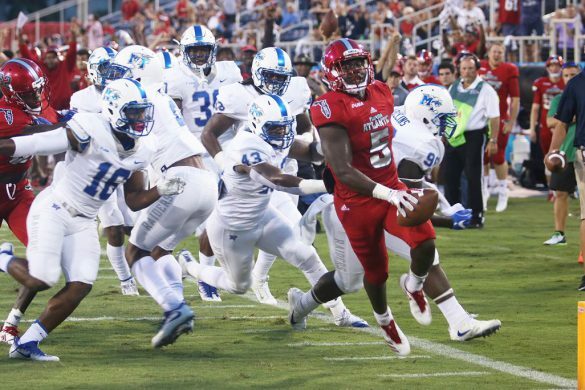 Up Next: FAU will play at Western Kentucky on Thursday, Tip-off set for 8:30 p.m.
BOCA RATON – FAU is targeting April 21 for Lane Kiffin’s second Spring Game as the Owls head coach, OwlAccess.com has learned. NCAA rules allow for 15 practices during the spring, with the spring game counting as a practice. 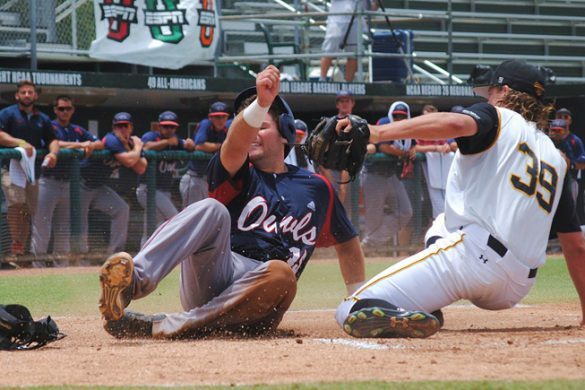 The Owls will practice on Tuesdays, Thursdays and Saturdays beginning on March 20. 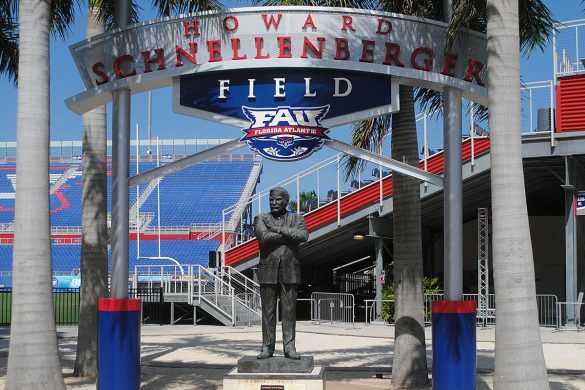 The spring game is traditionally held at Howard Schnellenberger Field, but with FAU having started construction on the new Schmidt athletic center this week, it’s possible that the Owls could elect to move the game. 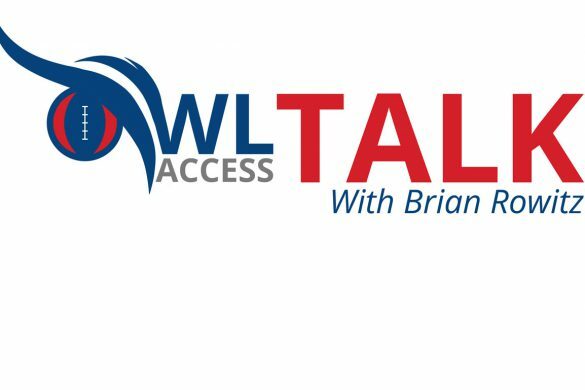 As part of the first phase of construction the Owls are renovating their home locker room and rooms close to it within the stadium. 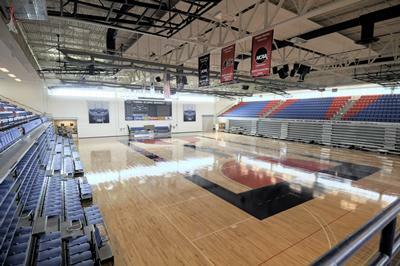 The Owls don’t necessarily need the locker room for the event and could potentially use the visitor’s locker room, which is smaller. 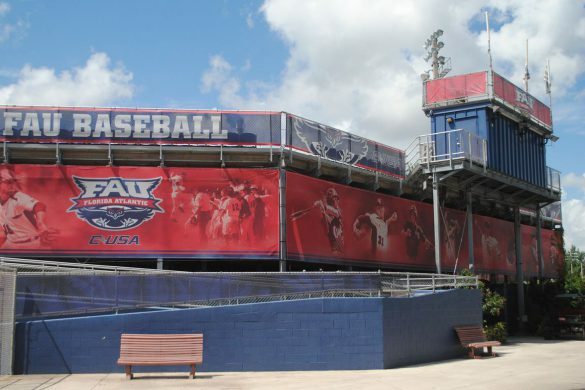 FAU also intends to hold its annual Pro Day, where NFL scouts come to campus to put seniors through a series of football-related tests such as the 40-yard dash and the broad jump, on March 27. 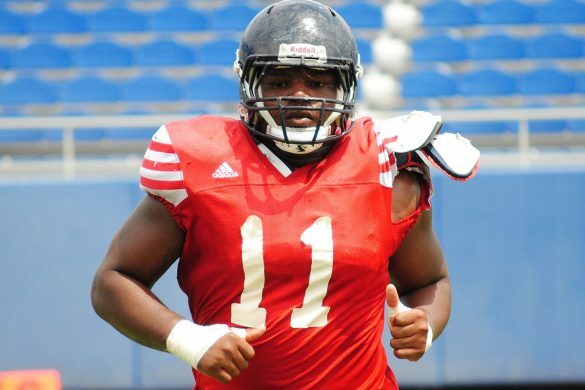 The non-graduating Owls will hold their fourth spring practice that same day. 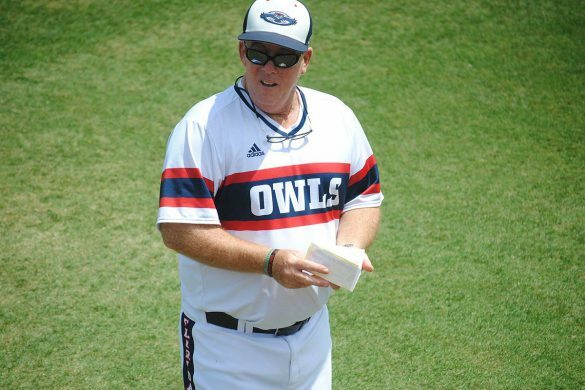 Four new FAU assistant coaches will be on the field for their first FAU spring practice. 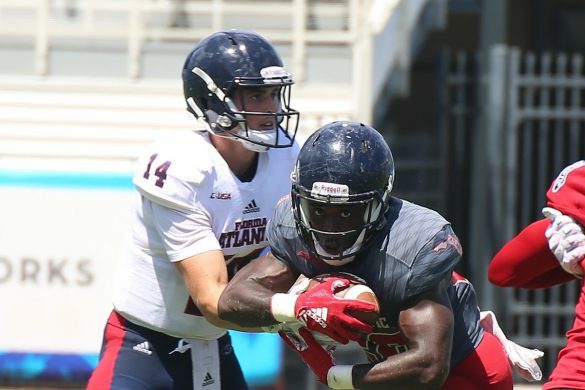 New offensive coordinator Charlie Weis Jr. served as FAU’s tight ends coach for about a month last year before accepting a position with the Atlanta Falcons. At 24, Weis is the youngest offensive coordinator at the FBS level. 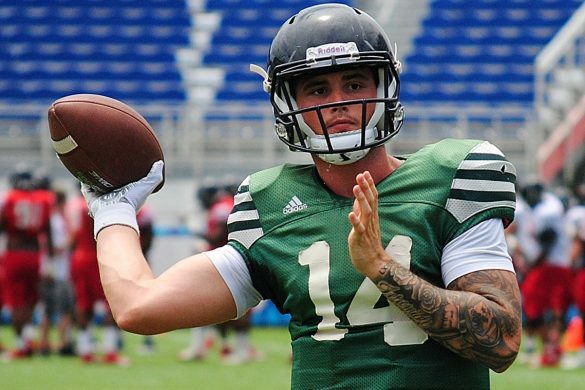 Also the Owls’ quarterback coach, Weis will be charged with overseeing a quarterback battle that will feature Oklahoma transfer Chris Robison, a redshirt freshman, and De’Andre Johnson, a redshirt junior. Johnson is expected to return to the field after missing nearly all of 2017 following surgery to remove blood clots in his arm. New offensive line coach John Garrison will be looking to replace three starting linemen who graduated. 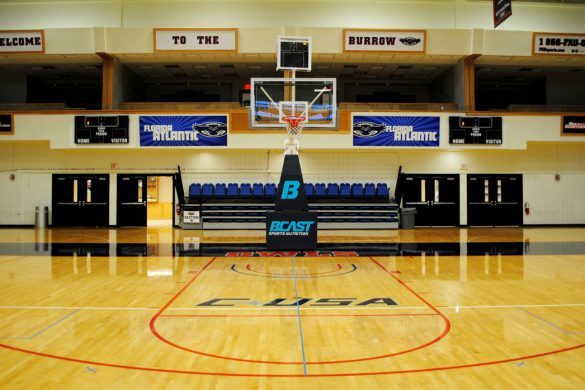 Two of them, center Antonyo Woods and guard Roman Fernandez, were All-Conference USA performers. 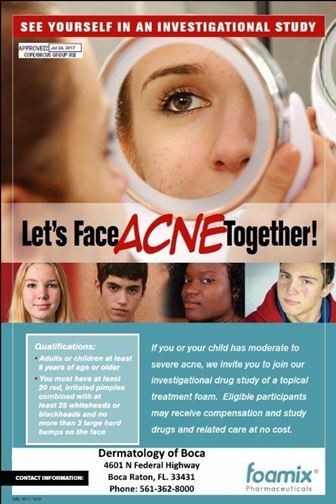 Battles for those spots should continue into the fall. 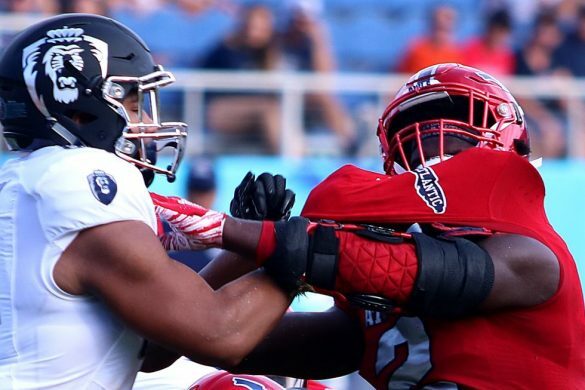 FAU currently holds four commitments from offensive linemen as part of its 2018 recruiting class, including junior college transfer Zack Bennett and Tulane transfer Junior Diaz, who should factor into the battle. Both players are centers. 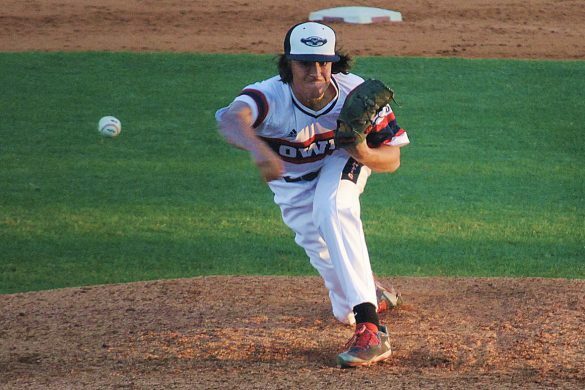 The Owls are also on the short list for JUCO transfer Carlton Lorenz. 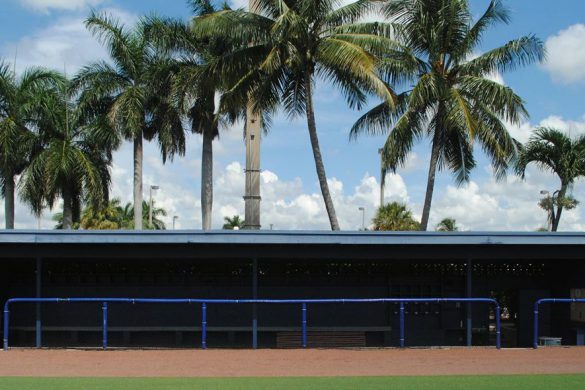 None of those players will arrive in Boca Raton until the summer. 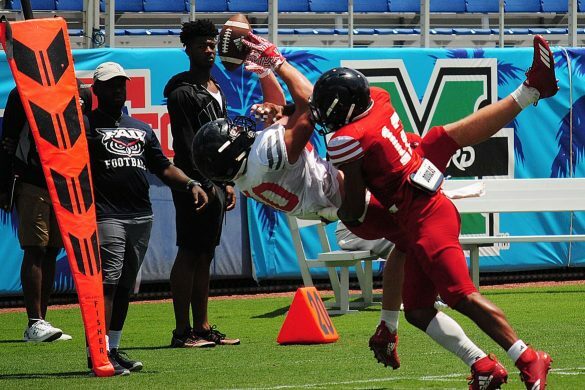 New defensive backs Wes Neighbors inherits a more settled position. Jalen Young, a three-year starter, returns at one safety. Andrew Soroh and Zyon Gilbert both return after starting games at the other safety last season. Special teams coordinator Jaron Fairman served as a player development assistant last year for FAU before being elevated to his new position. The Owls need to replace kicker Greg Joseph and punter Ryan Rickel, both of whom exhausted eligibility. 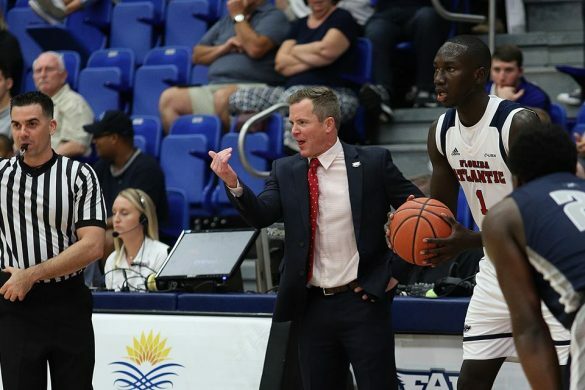 BOCA RATON – FAU went from catching national attention with Justin Massey’s game winning shot five days ago to following into the old footsteps of not being able to finish games. 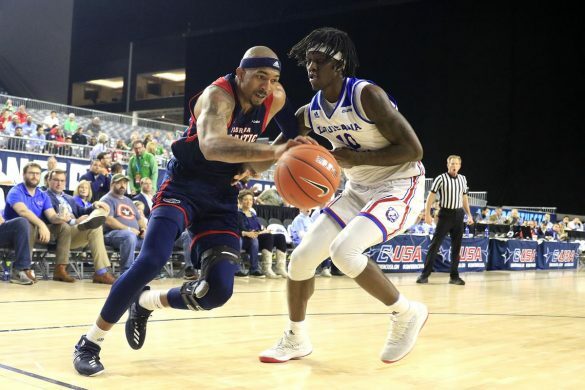 Florida Atlantic struggles once again to close out their opponent, as Louisiana Tech came back to defeat the Owls 67-62. 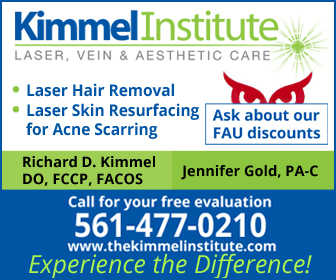 FAU led 58-57 with 2:26 remaining but didn’t score again until the game had been decided. A late two-point shot by Amorie Archibald gave Louisiana Tech the lead, in which they never gave back. Jailyn Ingram led the Owls with an impressive first half, when he scored 12 of his 16 points. “Got to knock down our free throws and keep them off the line,” Curry said. LA Tech took over the momentum in the final 10 minutes, putting the pressure on the Owls to make plays towards the end of the game. Moving Forward: Geradarius Troutman hit a few big shots towards the end of the game to give the Owls the lead. He ended the game with 13 points. 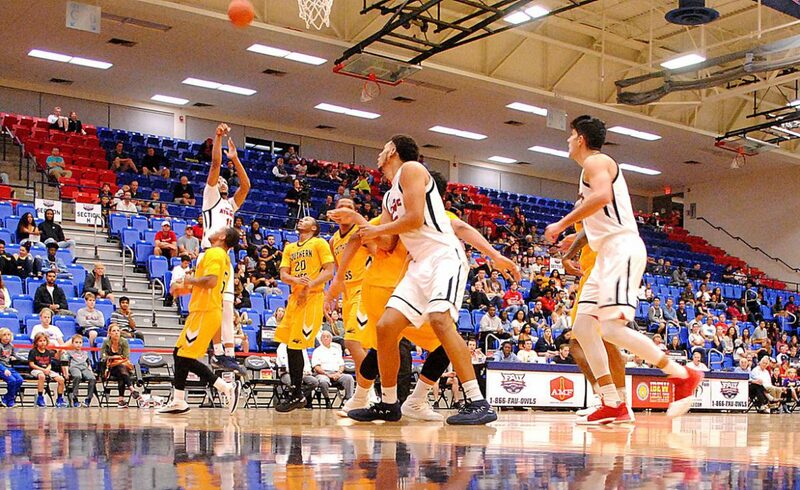 …Ronald Delph scored 14 points and grabbed eight rebounds. 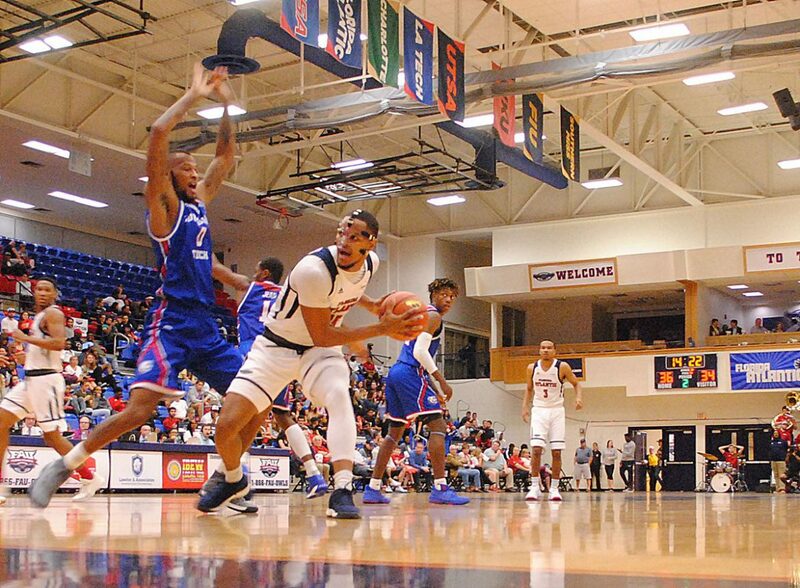 …Amir Smith only scored four points, but his defense – including four blocks – inspired FAU. Moving Backwards: After Justin Massey led the Owls to a heroic win at Rice, he struggled shooting, hitting only two of 10. …FAU missed all five three-point attempts in the first half. 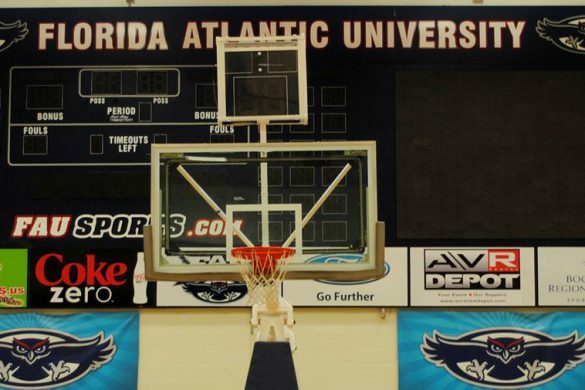 …When FAU needs someone to hit a big shot, the Owls have no one to consistently turn to. 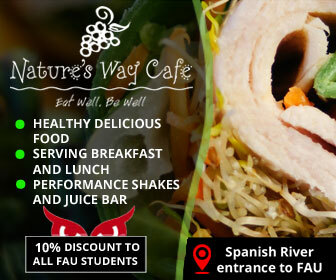 …Press FAU, a turnover is coming. 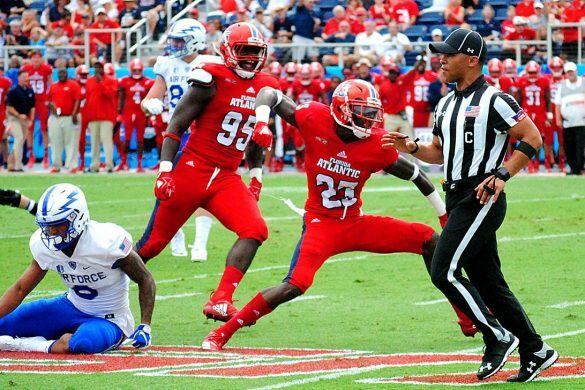 Key Stat: 4 – wins for FAU in C-USA. That total could remain the same for the next couple of weeks. 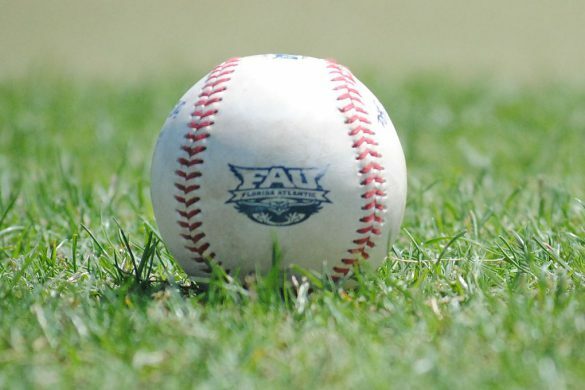 Up Next: FAU hosts Southern Miss on Saturday 7 p.m.